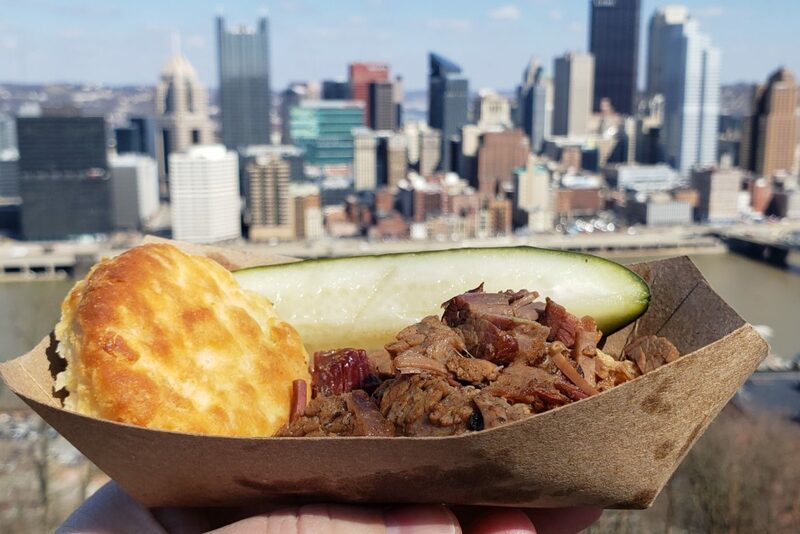 The weather is starting to warm up in Pittsburgh which means the BBQ season is ready to kick off! Brisketburgh is one of the newer trucks on the scene bringing brisket and biscuits together for a delicious quick eat. Make sure you try the dessert biscuits. Don’t ask, just do it as you’re about to see why. The addition of a crisp Pittsburgh Pickle and homemade sides make this a great meal on the run. For a complete schedule of where you can find Brisketburgh go to their site brisketburgh.com or follow them on the Mobile Nom app. Check out the video below from IGTV and follow us on Instagram, Facebook and Twitter. If there’s a place you want us to try next leave a comment below or shoot us a message on this site!